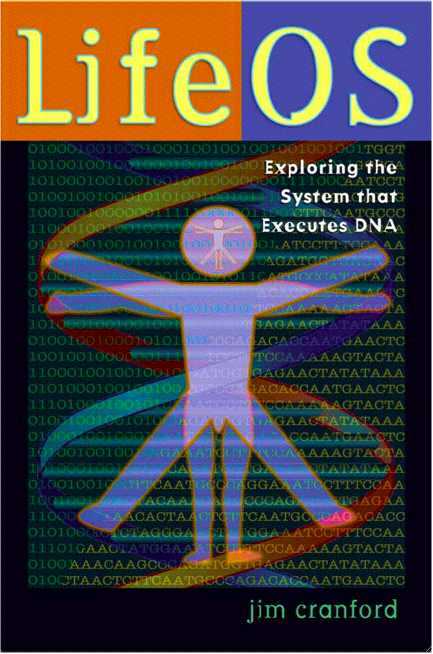 Mama Yerba is offering a free download of the complete LifeOS book as a pdf file. All this stuff about a holographic network powered by waves of biophotons is great fun to think about. The implications are profound, but in reality, these are just theories. I’ve strung a bunch of them together as my way of describing the universe. They involve concepts that are dependent on a shared grasp of many diverse subjects, and therefore are easily misunderstood. Details can be a source of endless disagreement, distracting from the overall picture. From the arguments that i’ve encountered preparing this material, it is obvious that some folks are just never going to get this, and many more will think they get when they really don’t. For some folks, their ego is just not going to let it happen. Oh well. In practical terms the information i’ve provided here may not seem to be of much help in your daily life. It won’t help you win arguments on the origins of life or the existence of machine intelligence. But once you have begun to see the environment as a system, it becomes apparent that the entire totality of one’s experience is a function of the interface between the system and the individual. It is through this interface that we experience, evaluate and manipulate reality. It is also obvious that our interface has been learned. It is therefore subject to error,(mis-learning) and revision. We can all benefit from improving our interface with the system. We are all connected to the System and each other through our user interface. In computer terms, the user interface includes the tools used by the user to communicate with the operating system. The monitor, keyboard, mouse and program being run are the usual things we think of as the interface, but speakers, microphones, cameras or any other connected devices are also ways the user communicates with the operating system and the computer itself. In LifeOS there is really no difference between the user and System. LifeOS runs everything: our environment as well as our own physical bodies. What we have as individuals, is a point of awareness. That’s the one doing our observing, right now; commonly known as the ego. However, the term “ego” carries a lot of baggage, most of it negative. Here we are going to use the term “observer” to denote that part of self that feels like it is watching the scene before us. Our observer is a “point of awareness” to the system. A point of awareness is necessary in order for a system to study, compare details and make choices. The sense of self is necessary for navigation. That is the understanding that the physical body is the vehicle that navigates the environment, but a point of awareness is the self within that self. The LifeOS interface can be seen as any communication between the observer and the System. That includes all of our senses, the dynamic hologram generated in our heads, our subconscious, our memory, our emotions and our thoughts. That is the information side of your interface. What your body actually does in the physical environment is the business end, your output. Just as your body has had to learn everything it does, you have learned every mental aspect of your interface. When people who have been born blind, later have their sight restored, they have to learn what all those colors and shapes represent. It isn’t like they just opened a window and they could see again. They had to learn how to see. It is the same with all our physical abilities; they are learned. What else can this new view point do for us? First of all it offers an explanation for the many diverse belief systems found world wide. It explains how both religion and science can be right. Since the interface between the observer and the biological system is left completely up to that individual to build, any belief system will work as well as the individual establishes it through use. The interface produces a “context” within which our view of reality exists. That context is part of the definition of reality, as well as a template for behavior. You’ve heard it before: you create your own reality. We have always had the power to create our own connection to the System, but for the most part, we have had it created for us by our culture. In our western civilization, the direct connection to this information processing system is through something known as, “spiritual practice”. Although science denies the existence of the spiritual realm altogether, it is not because they don’t, “believe in it”; they just use different labels for their sources of inspiration. Whether you call your inspiration “divine” or internally generated “brain” intelligence, matters little to the System. No matter what you see, it lights up the same kind of neurons in your brain as it does in everyone else. No matter what you believe, your inspiration lights up the same section of your neocortex as the mystic and the atheist. Your ideas are expressed by the same electro/chemical reactions as were Einstein’s. No matter whether you use a magic incantation or a scientific formula to relate to the System, you remember it using the same system of memory. No matter what labels we hang on the attributes of our interface, they work the same for all of us. However, if one fails to learn an attribute, its functionality may not be available. You can get on down to the sacred store and buy into the ready made interface of your choice. You could go to college where you also buy into a ready made belief system. Or you can experiment on your own and build an interface that actually works for you. That’s what most of us do. All of the ready made interfaces are extremely limited in their value to the individual. The ready made interfaces were written from the top down, for the benefit of the institutions selling them. In other words, as a means of controlling their followers. The truth is that each of us has built our own interface, taking a little from science, a little from religion and probably a bit of the occult for good measure. Sometime in our childhood, we mix it all together with something we call common sense, and decide what we believe and what our life’s path will be. We’ve made up our minds at an early age, and we’re sticking to it. Our beliefs are part of our interface and the foundation for all of our actions. It is true that you are in charge of your own connection to this universal network. However, it is operational, whether or not you know how to use it, or even believe in it. We are all connected. If you don’t understand how your connection works, you are at the mercy of those who do. I like to think of the cell is the basic unit of this coherent field structure, but the more i read about the inner workings of the cell, it seems to me that the same system of field relationships is active there. This system of nested, overlapping and interconnected coherent fields acts individually and collectively to store, retrieve and manipulate information. The cell is an individual CEF that reacts with its environment at its boundary layer. The internal frequencies generated by the cell and the active genetic material, give the cell dynamic membership in countless other CEFs, nested within the main field generated by the whole body. When input interacts with an agent, it is shared holographically with all the other fields contained within the agent’s body, according to shared frequencies. In this way the information is sorted into departments, categories, indexed and cross referenced by all possible connections as it is stored in memory. All of this is happening in real time. This produces the sense of “now” that permeates consciousness. That sense of awareness, of being, is the final act of the projection, delayed by a measurable amount of time from reality. In other words, the conscious mind is the last to know; even decisions that the conscious mind is sure it has made for itself, are the product of internal decision making subsystems. There are sound reasons for this. In order for the conscious mind to be able to focus on minute details, the interface needs to be seamless. All sensory input is filtered and processed before it is presented to the conscious mind. There are waves of information coming in from an amazing variety of nerve endings, each sensitive to its own narrow band of input. All of this input is assembled into a single, cohesive, multidimensional display, that the agent can reliably use to navigate and manipulate a highly complex and dynamic environment. That takes some time to accomplish; however, the conscious mind is unaware of the time lag. It would certainly be a distraction if it were apparent. Even decisions made by the ego must be inserted in the process at the beginning, before the delay. The conscious mind decides to pull the trigger, but the decision has to appear instantaneous. So, the system makes the decision first, but delays telling the conscious mind until it is in the proper place in the sequence of events, making the delay invisible. Who’s idea was that? The human body is composed of billions of cells, each one having an identical DNA molecule in it’s nucleus. The memory system uses the DNA to, communicate, store, manage and compare data to plan future actions and modifications. Recent studies of humans with almost no brain at all who perform well enough to get by quite well in this society, and some studies on other areas indicate that there is no area of the brain consigned to memory. Rather it seems like different portions of the brain are established as processing areas for specific queries, that all use a global memory. Conditioning studies with the lowly flatworm indicate that memory resides in the whole nervous system and not the brain. This can all be explained if we accept a holographic model for the “mind” that inhabits the body. The model says that the basic intelligence of the animal is in the cells. They have the will to live and carry out their mission that drives the total organism. It is cells that join together to perform higher level functions. Cells are growing to a plan. It is the same electromagnetic projection that the growing tip of a plant uses as a guide for growth. The brain and muscles grow into the same kind of projection. Muscles, their control and supply systems, grow to accommodate patterns of use. Just as plants grow to a plan(projected patterns for future growth), muscle culture systems also grow to patterns of use that have to be remembered. Any weight lifter can tell you in plain language how the system works. Studies of the brain show that it works the same way. Thoughts and related actions are stored by building of brain tissue and its supply and control systems. The brain is like a muscle, use it or lose it. Learning produces physical changes in the brain, just as exercise builds muscle. All this building is done to a plan that is electromagnetic in nature. This electromagnetic pattern is projected into the future at the cellular level. Thus the intelligent actions of planning and implementation for the future, are fully functional at the cellular level. We have this image of the brain passing out orders to the rest of the body, but in reality, the cells are the “brains” behind the organism and issue the global commands that translate into behavior. Our cells organize themselves into highly efficient organs that performs specific functions to maintain the system. The brain is a specialized organ that can override some cellular control in emergencies as well as carry out intricate tasks in apparent real time. The brain handles the difficult job of communicating information about these intricate tasks to other workers. Other than that, it seems like the brain is used primarily for making excuses for emotionally driven behavior. The point is that the single celled organisms were here first. They have always been operating under a Plan. That Plan has not changed in essence, only gotten more complex in it’s implementation. The Plan is simple: grow, reproduce and disperse. The implementation of this simple plan involves intelligent action at the cellular level. Multiple celled creatures have developed complex strategies to accomplish these goals, all based on the ability of the cell to project expectations into the future. This fundamental process is active at the cellular level, working for the individual, the species, the local environment and the system at large. The core concept that holds the LifeOS model together is that of the coherent electromagnetic field, aka a hologram, hereafter referred to as, CEF. After reading several papers on the coherence of magnetic fields and the origins of the universe, it seems to me that there is great deal of evidence for our universe being fully coherent. If our current universe ever experienced a Big Bang type of singularity, where all matter was compressed to the max, it could be defined as complete coherence. Seems to me that the compressed universe would have to be vibrating as one, like a super crystal. As the universe expanded, coherence would have remained a fundamental property. The Computational Mind isn’t based on arbitrary numbers or a digital interpretation of the environment, but direct interaction with it through the holographic aspect of matter. We are not separate observers of phenomena, rather participants in multiple, dynamic feedback loops. When we think of a feedback loop, we generally envision a linear information channel, like the wire and thermostat. Actually, feedback involves continuous waves of information, from every connected source, regarding our interaction with the environment. Every movement of matter and/or energy within the system is participating in feedback. These waves are repeating patterns that are constantly being compared to the waves that have come before, in every CEF at every level. Their deviations produce interference when laid down over the past patterns. The interference causes ripples throughout the system, that identify its location, amplitude and other information about the deviation. This CEF is like a faraday cage, in that it protects the field contents from outside electromagnetic interference. Input and output react at the boundary layer as if reacting to the entire field. However, the interaction at the boundary layer involves some sort of information management. Interactions don’t involve all of the information available within the field, but only a small portion. It is like the boundary layer responds to the input as a query and only selected information is transferred. This makes the field an electromagnetic entity. Each CEF is a model for the Whole. The dynamic hologram that each CEF generates is a map to all of the possible relationships within the hyperspace it occupies. This in turn is a micro model of all of the possible relationships in the Universe. A formula could be written to describe any specific interference event in the hologram, but what the hologram does is describe the entire hyperspace it occupies in terms of the wavelength of its synchronized light. Essentially, the laser light bathes the CEF’s hyperspace in pure math. Any relationship that could be represented by a formula is intrinsic to each itineration of every CEF. These fields are nested, overlapped and interconnected by their membership the holoverse, as well as countless other feedback loops that carry specific information between discreet individual CEFs. It is all information flowing in all directions. The Whole is thus apprised of all relationships, from all points of view, all of the time. The growing tips of plants project an electromagnetic field in the direction they intend to grow. Plants have to have a memory to grow. During the day they collect light energy and at night they turn that stored energy into new growth. If the plant is going to grow towards the sun, which they all do, it has to have a memory. The plant has to have a way to remember the path of the sun, and from that, predict where the arc of the sun will be in the future. It does so by extending the electromagnetic field of its current state, from its growing tip, towards the projected arc of the sun, as a template. You could say that the plant “imagines” how it needs to grow to get maximum sunlight the next day. It also exhibits the very basics of awareness, to be aware of the environment, set goals and build towards achieving them. You and i are subsystems that use thought to analyze a situation, set a goal meant to rectify it, then plan and implement action in order to accomplish that goal. All around us we see countless other subsystems that are doing the action thing, but we fail to acknowledge that they are also analyzing the situation, setting goals, planning and accomplishing, and in many cases, doing it more efficiently than human beings. Goal oriented behavior is fundamental at all levels of Life. Even the smallest of creatures must identify food and devour it in order to survive. The same sequence of behavior must take place in the simplest of machines and animals in order to achieve goals. The most efficient way to solve problems is at the point of action, where the individual interfaces with its environment. The farther away from the action that important decisions are made, the greater the chance for error. We find that to be true in human organizations of all kinds. Other subsystems are organized the same way. That’s free will: the ability of the individual agent to make the final choice. Biological systems benefit from both good and bad choices by individuals, by keeping track and learning from all their experience. Where is the operating system on your computer? On the hard drive? Nope, that’s just a static copy. The active version of the OS is in RAM, random access memory. You can’t look at it, only the results of its activity. The code that is active is invisible. In RAM we have a dynamic array of information stored in a matrix of binary switches. It is a very simple version of our CEF, in that it reacts to input with specific output. Just like our CEFs, it has internal instructions that control its output. Those internal instructions are compatible with the internal instructions that operate every other agent in the network. It is the same with LifeOS: the active operating system is invisible, but we can see the results of its activity. This operating system is not in code that has to be read before it acts, but present in the structure and properties of living CEFs. The kernel of this operating system is in every atom, a fractal arrangement of energy vortices that contain direction, intent and unlimited potential(uncertainty), guided along the pathways of highest probability by memory, continually plotting expectations into the future. Waves of expectation are projected on incoming sensory data, in a dynamic flow of imagination becoming real. This process functions at all levels of biological systems. Consciousness is what goes on inside a CEF. It is the interface between the CEF and the outside environment. Its complexity is mirrored by the information it contains. The “consciousness” of a cell is only interested in its own internal affairs, therefore it would seem far too simple(primitive) a process for us to call by that name. We expect a great deal more from anything we would call truly conscious. However, in terms of systemic functions, manipulation of information towards specific goals, in harmony with overall goals and procedures, is being accomplished at the cellular level. This kind of intelligent action was going on long before there were any multicellular beings, let alone “intelligent” primates. Let it also be noted that biological systems have used these techniques(manipulation of information towards specific goals) successfully for billions of years, before mankind came along and screwed things up by forgetting the part about, “harmony with overall goals and procedures”. So far we have covered a lot of territory, wandering as it were, following our trail of information. Our vehicle has been our consciousness, each of us behind the wheel of our own machine, but sharing the road. This project started out as a book, a linear journey meant to be traversed from beginning to end. I have watched it morph into something altogether different. There are still branches in the road, but they lead thru wormholes that can put you anywhere. We are no longer just travelling down a single road, but are part of a wave that is engulfing all roads. Instead of following a single path, we can jump from one to another, observing, comparing and sharing what we have found. In the blogsphere, the information is scattered and linked in a nonlinear structure. All of our daily outpourings are indexed and cross referenced by the system. It becomes more than a book or a library of books; it becomes a live process. It is a micro model of a holographic network. The details are stored in the material objects where they originate, and the overview stored as relationships between objects; both bound together by the holographic web. Information in intelligent ferment on a global level. In this process we have jumped between micro to macro, solid and wavelike, looking at components and their attributes in some detail. In this section, we are going to hook some of these components together and compare the functionality of biological systems and computer networks. In some ways this is a summary of how we got to this point in our journey. When we think of computer systems, we divide the components into two categories: hardware and software. Well, the biocomputer is all wetware that embodies the functionality of both. However, all this wetware does sit atop a hardware platform, known as the material universe. The wetware can do nothing, but that which is doable by the underlying system of natural laws; physical, electromagnetic and quantum. The potential for everything we do exists within the material platform. At the basic level of functionality, an information processing system requires a memory, a processor and information, all functioning in the same “language”. Our platform is matter and the informational structure(laws) that hold it together. Matter is also the memory, processor and language, that makes our system go. How could it be otherwise? The physical universe is both the platform for our information processing system, and object of our processing. What we human beings do is observe and manipulate the physical universe in specific ways. We do this by processing information coming from the environment. Every other mobile creature on the planet does the same thing; they all observe and manipulate their environment. Defined as a system of symbols and rules used to convey abstract information. Is DNA a language? There seems to be some controversy. Where are the symbols? Some folks are unwilling to grant DNA language status. Some object to the idea that DNA consists of abstract information. Other arguments seemed to be saying that DNA can’t be a language because language is a communication between intelligent parties. Since neodarwinism has already decided that there is no intelligence involved in nature, DNA must be something else, like the result of random events. Changing the label around, calling DNA, “instructions” or “lists”, doesn’t get past the fact that information is stored, accessed and executed. These are all very intelligent actions. Of course, in the LifeOS model everything is information and the language is matter itself. In the same vein, consciousness exists because environmental information is collected from the senses, encoded into nerve impulses and combined into a comprehensive “virtual reality” presented to the conscious mind, as an external projection. This is certainly more like sophisticated system design, than a random collection of survival solutions. This line of thinking leads to a dilemma: if we admit that thought is a translation or encoding from environmental reality into some abstract mental language, then we just about have to admit to an intelligent designer. Translation, encoding, language are all based on the ability of some part of the process to understand abstract concepts. There is no doubt that computer language is an abstract creation, and the product of intelligent designers. Being able to deal with abstract concepts, such as language and computer code, is what sets human beings apart from “lower” animals, right? To look at DNA as an abstract language, may raise some difficult questions, but intelligence is the only thing we know that can manipulate abstract concepts. The language used for memory throughout biological systems is likewise, either a coded language or not. DNA, consciousness and the subconscious must either be an abstract representation of reality, or a direct one. If an abstraction, it is going to require an intelligent component to do, or at least engineer, the encoding. Another branch of science tells us that our consciousness cannot be a direct view and certainly is encoded. Either way, meaning is somehow attached to objects in the environment. Either that meaning is assigned by an intelligence, or intrinsic to the object. If DNA is not a language, then the organizing factor, the natural laws which cause the double helix to form into three bit codons, must be intrinsic to non-living matter, part of the atomic structure. In this context, the “shape” of the double helix would have to be a product of the internal structure of the atom. The alternative is that the organizing component is external to matter. If DNA is a language, then there exists an intelligent component that manipulates abstract concepts. This component could also be intrinsic to all matter, rather than external. Wherever the organizing element is located, its results are all around us. An atom is not a static chunk, but a vibrating bundle of energy. These vibrations are not random noise, but a concise information set. Each cycle is like a sine wave that broadcasts the atom’s existence and relative position. All these sine waves are flipping in harmony, as one, generating the Holoverse. Each atom sings, “I am here!” Together they all sing, “We are all together!” In counterpoint, adjacent atoms sing, “I am you and you are me, and we can work together.” All the while, atoms and molecules join together into local choirs that sing their own arias, always in harmony with the rest. The songs they sing are information about the flow of reality around them. All groupings follow the same pattern: singing in harmony, all about the world around them. And the System records it all.